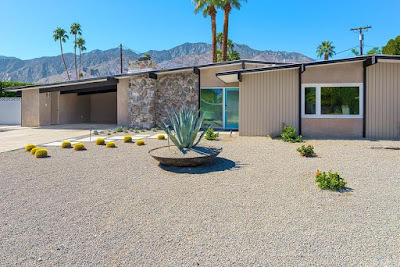 For the second day in a row is another Palmer & Krisel-designed home in Sunmor Estates in Palms Springs, CA being sold fully furnished. 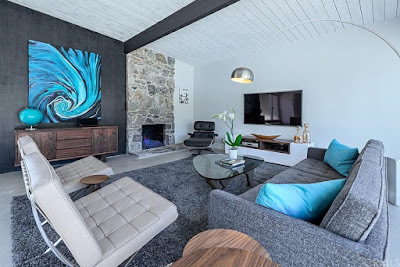 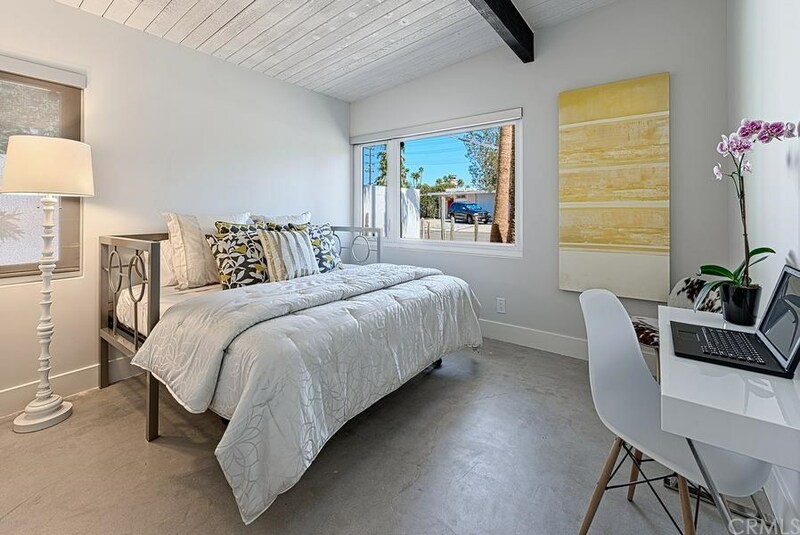 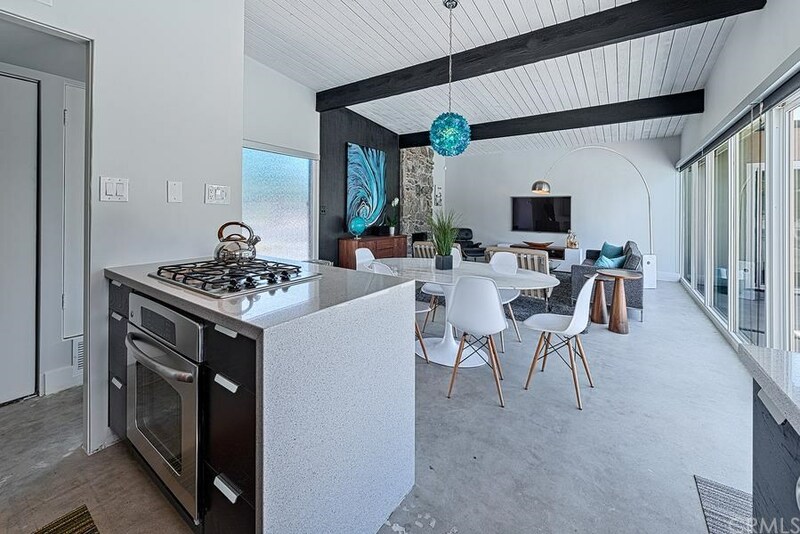 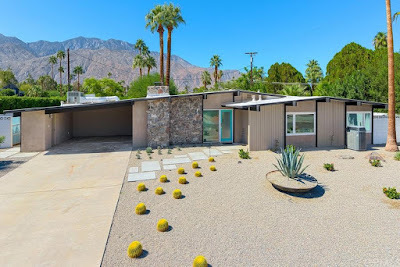 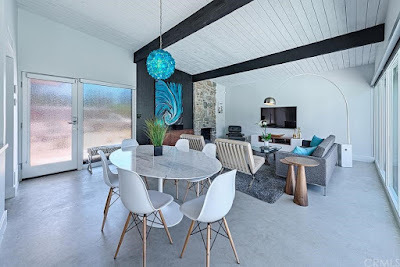 This home was built in 1958 by the Alexander Construction Company, and features four bedrooms and three bathrooms in 1,746 expanded and renovated square feet with an in-ground pool on a 10,000 square foot lot with an asking price of $715,000. 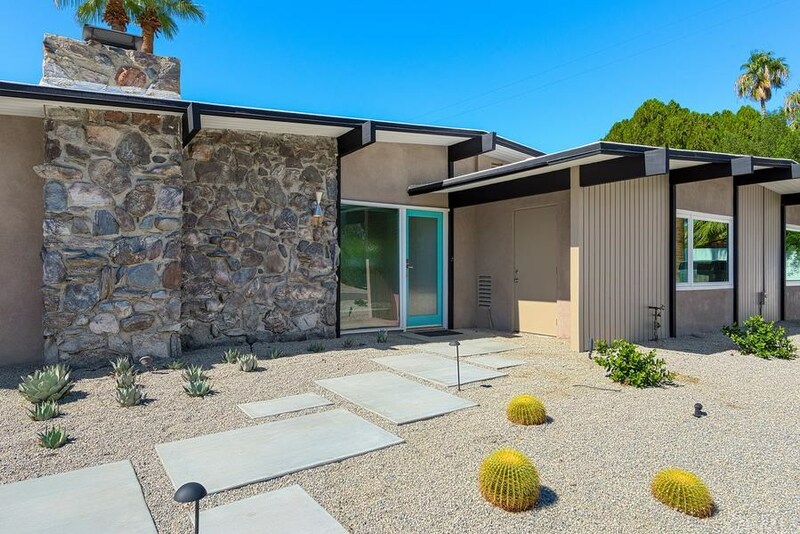 The exterior of the home exemplifies clean design with cacti and agave utilized as sculpture. The original iron ring planter lies within the center of the yard and a lone palm stands tall above the home. The exterior of the home is a sprawling A-line elevation, with natural stone accents and vertical siding. 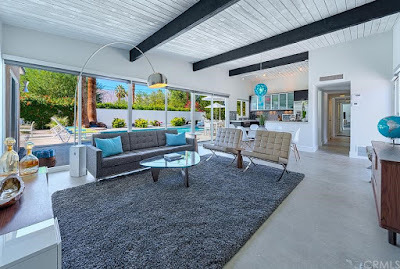 The bright blue front door leads visitors and guests directly into the rear facing living and dining rooms. Walls of glass overlook the swimming pool, and original open-beamed ceilings add to the openness of the space. 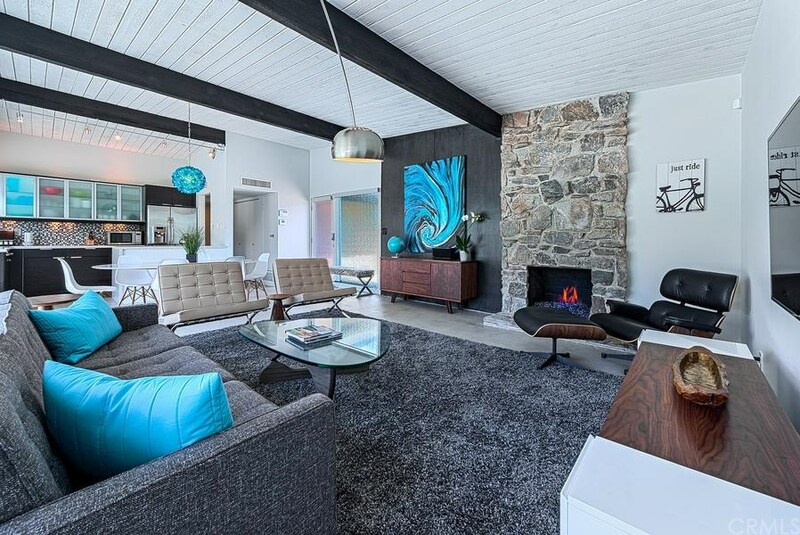 The original stone-clad fireplace sits at the front of the room, and smooth concrete floors unite the rooms. The kitchen is open to the dining room, and has been updated with frosted glass upper cabinetry and solid lowers. 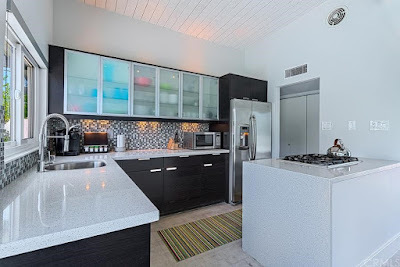 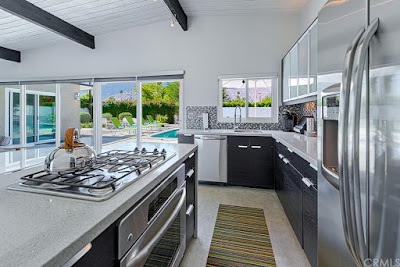 White composite counters, mosaic backsplashes and stainless steel appliances combine to form a clean, modern kitchen which embodies the modernist style of the home. 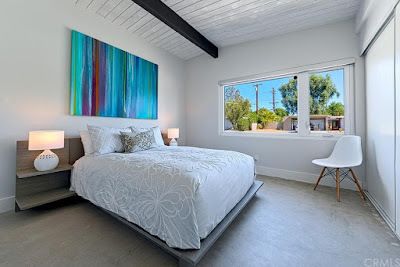 The two original secondary bedrooms sit at the front of the home, and carry forward the concrete flooring and open beamed ceilings as found in the living room. 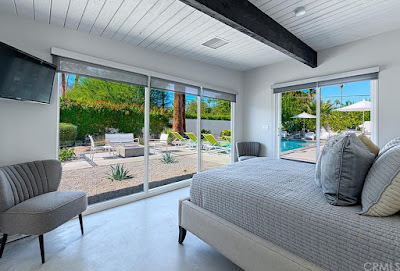 The master bedroom sits at the rear of the home overlooking the backyard and pool area. 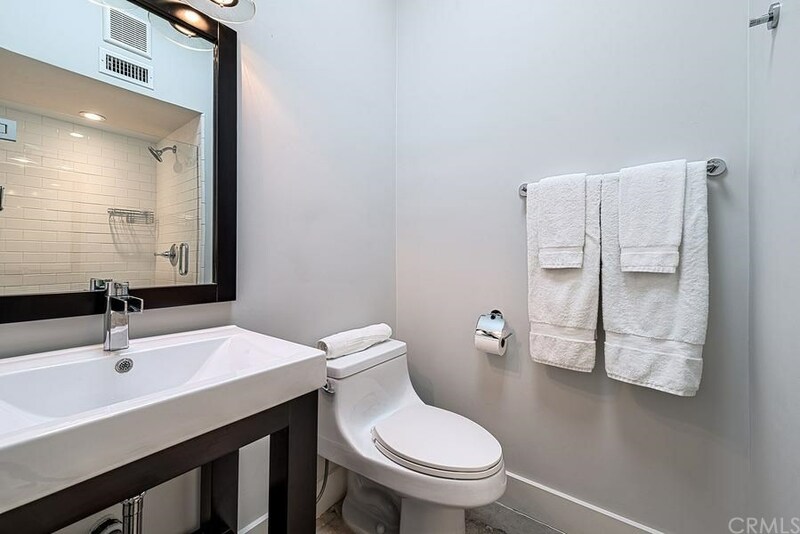 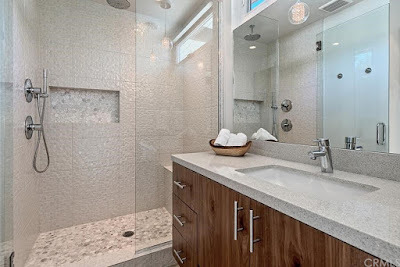 Both bathrooms have been updated with clean lined contemporary fixtures and finishes that complement the home. The fourth bedroom and third bathroom are in the form of an attached casita, sited behind the two car carport and accessed at the rear of the home. 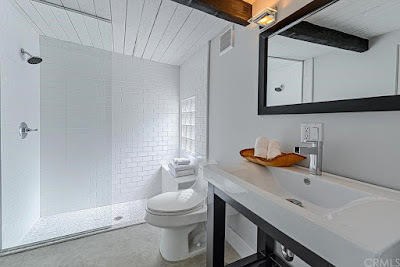 The casita mirrors the architecture and lines of the home, and consists of a singular room with attached bath, finished with minimal, modernist details. 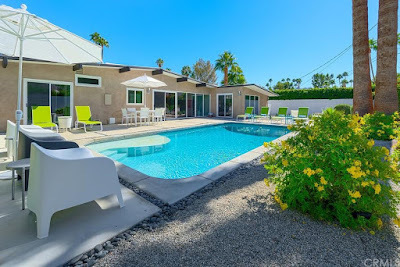 The west-facing backyard is a private oasis, anchored by the original Alexander 15’ x 30’ swimming pool, thoughtfully updated with a splash deck. 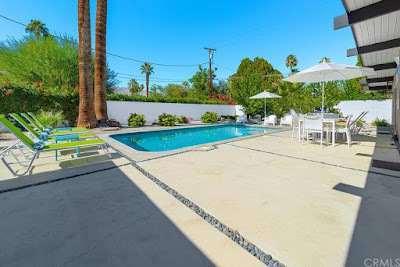 Concrete decking punctuated with black river stone accents surround the pool, and low maintenance desert landscape encompasses the remainder of the yard. 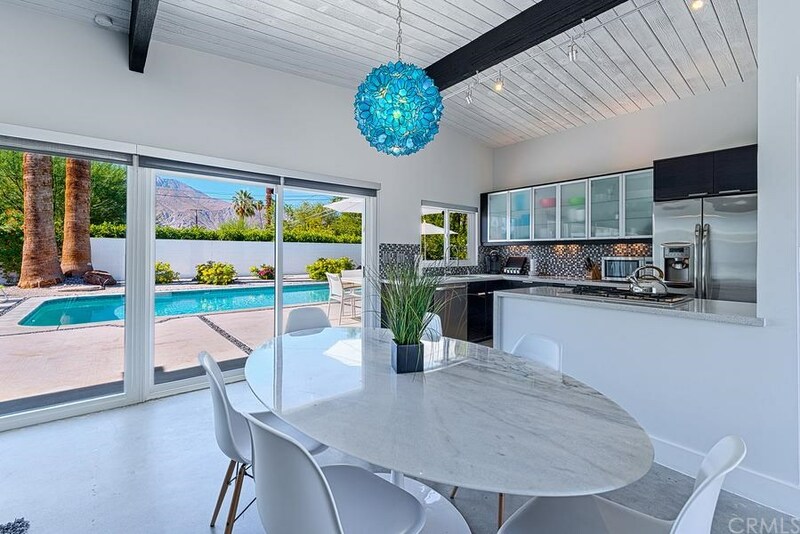 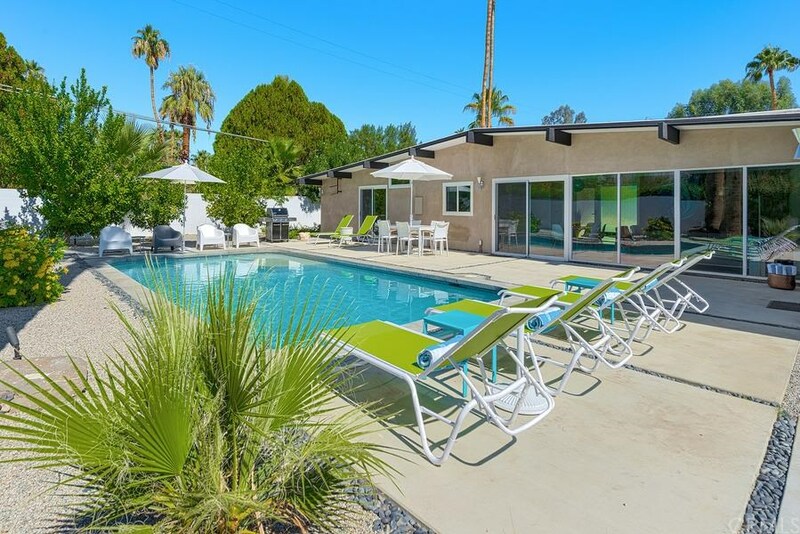 This is another great opportunity to acquire a turn-key fully furnished home Palmer & Krisel home in a desirable Palm Springs community, perfect for a second home or an everyday escape.